While a lot of bars use Pub Quiz Night as a way to entice patrons on those near-tipless Monday nights, three Brooklyn watering holes have teamed up with a few DJs for a different type of crowd interaction. 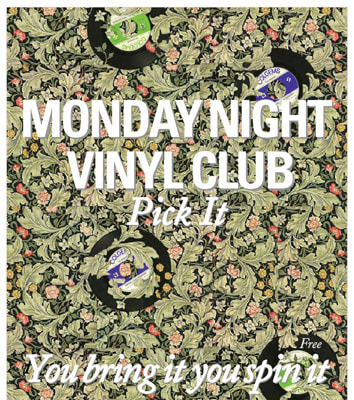 The Monday Night Vinyl Club’s motto is “you bring it, you spin it,” meaning they’ll provide the turntables if you provide the wax. Any willing body can do a five-song set at either the Sycamore (1st Monday of the month), the Double Windsor (2nd Monday) or the Bell House (3rd Monday).